Shri Varu Gold’s the bullion house is one of the leading bullion dealer in Coimbatore is located as Raja Street. We are in this business since 2002. We have a wide range of customers across Tamilnadu. We offer timely service to our customers. 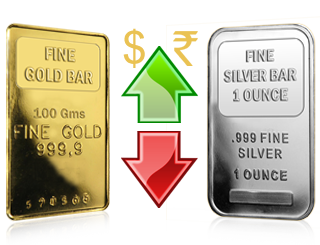 We value our customer’s needs and offer them any range of quantity in gold and silver bars. We deal only in 24 Ct gold and 999 Silver bars. We also provide forward booking facilities to our customers. We empower our staff to take initiative and give their best at all times. We are motivated to face the difficult situations with confidence and determination. We always seek to improve and innovate.